Works number 1567 emerged from Peckett’s Atlas Locomotive Works in June 1920 as the 39th member of Peckett’s ‘X2’ class of 0-6-0STs, and was delivered new to Featherstone & Hemsworth Collieries in West Yorkshire. The Bristol-based manufacturer built 52 of the class in total, often in pairs, the first in 1906 and the last in 1940. They could be found serving industries across the UK, from as far afield as Northumberland and Pembrokeshire, to Lancashire and Kent. Two examples even found their way to far-flung Shanghai. No. 1567 spent its entire working career at Featherstone, becoming No. 3 in the Ackton Hall Colliery fleet. 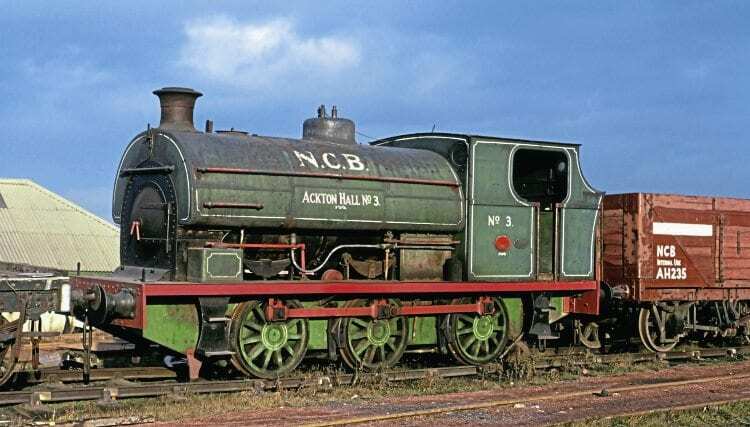 The nationalisation of the UK coal mining industry saw the loco absorbed into the new National Coal Board from January 1, 1947, but the Peckett soldiered on, thanks largely to the colliery manager, who is understood to have treated the loco as a sort of colliery pet. Thus Ackton Hall No. 3 continued in service alongside much-later-built Hunslet products, dating from the 1940s and 1950s. Previous Post:Lines under threat: Will the ‘Flyer’ be grounded?